Court orders in relation to divorce can be modified or changed. 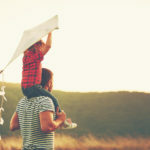 You can modify child support, custody, visitation or spousal support when you or your ex-spouse experiences substantial changes in circumstances. At The Montes Law Firm, our legal team helps individuals achieve their goals, whether they want to obtain or object to a modification. We are led by Orange County post-divorce modification attorney Amy M. Montes, who takes a holistic approach to family law matters. Her approach balances aggressive representation with creative dispute resolution to help her clients achieve favorable results. Today’s economy has presented challenges for many individuals. Losing a job or being underemployed can affect a person’s ability to pay child support or alimony. If you have been laid off or your spouse cannot find work, you may be able to pursue changes to current orders. We are committed to helping clients achieve their goals. Whether you need to modify your orders or disagree with your ex’s attempts to modify orders, we have the experience and resources to protect your rights. 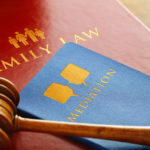 We invite you to call our law firm today at 714-731-8600 to arrange a free consultation with our Irvine custody modification attorney to discuss your family law issue. Or you may send us an e-mail. Se habla español. Telephones are answered 24 hours a day.